This is a visual representation of the most common Means of Verification (MOV) that need to be included In the RPMS Portfolio. 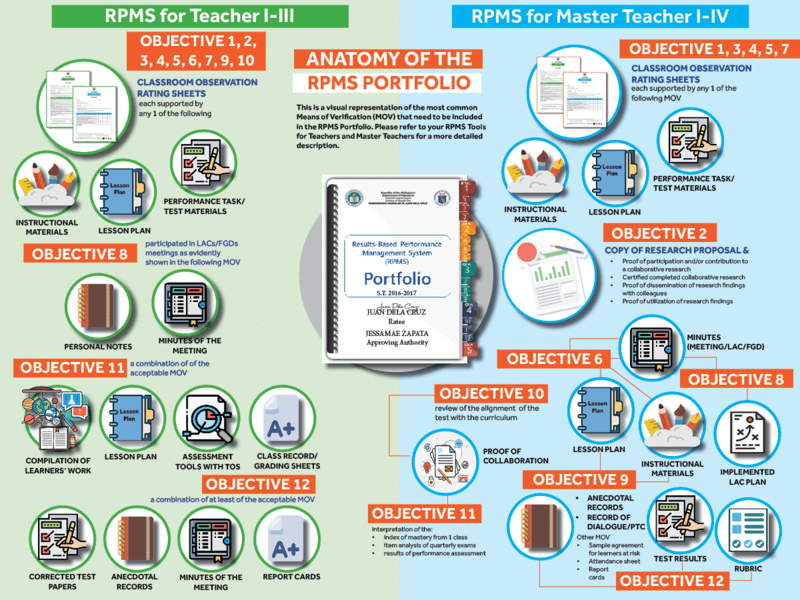 Please refer to your RPMS Tools for Teachers and Master Teachers for a more detailed description. 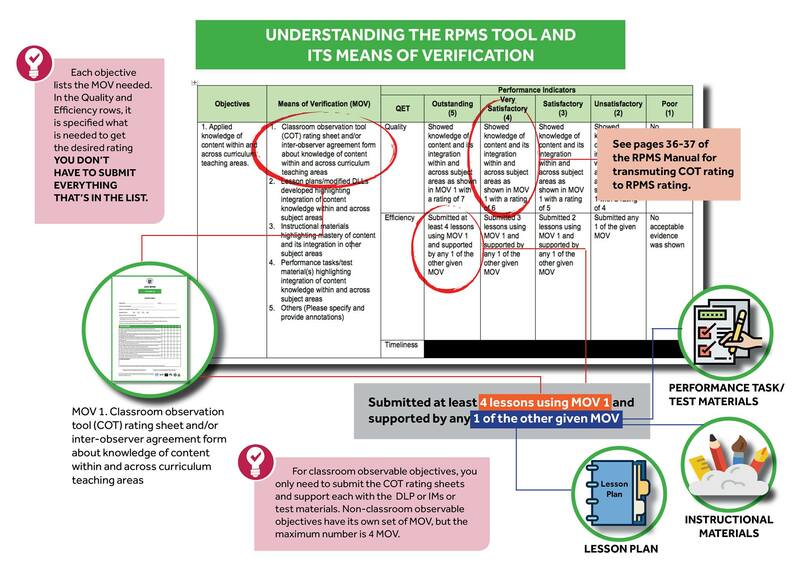 The RPMS provides the list of Means of Verification (MOVs) that can prove the teacher’s attainment of objectives. These have been judiciously selected to show evidence of attainment of objectives. Teachers gather, select, organize and annotate MOV to help Raters in assessing their performance. MOVs include classroom observation tool (COT) rating sheet and/or inter-observer agreement form, lesson plans/modified daily lesson logs (DLLs), instructional materials, formative and summative assessment tools, compilations of student outputs, certificates of attendance to professional development activities like graduate studies, seminars, forums, and/or learning action cells, and evidence showing the conduct of collaborative activities with parents/colleagues/other stakeholders.